Windows are one of the most – if not the most – important parts of the home. They can make the atmosphere of a room feel bouncy and bright, or dark and dreary. 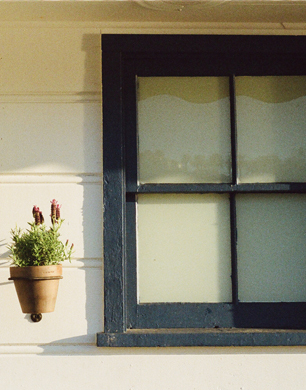 How your home uses windows is up to you, and you have many possible options. Like with any interior design job, you should take things room by room and create the perfect look for each. Don’t apply the same tactics to every area of your home! Each room is different, and must be treated differently. Different rooms in your house have wildly different uses, so your windows should reflect this. For example, your bathroom needs to be as private as possible, so a standard clear window won’t do here. You’ll need a patterned window, or a window with low opacity. This stops people from getting a clear view of the inside of the room. The same is true of bedrooms, and to a certain extent, your living room. This is the space that will gather you and your family during celebrations and meals, and needs to be a private atmosphere. Conservatories, on the other hand, should be designed around the glass itself, so privacy isn’t a worry. Think about how you use each room, and plan your windows accordingly. If your house is surrounded by a fence or high hedge, this will be less of a concern. Natural light is good for everyone, and it’s up to you to control how much you let in. There’s a reason why people are leaning more toward window shutters and blinds than curtains. Curtains have two light settings; all of it, or none of it. There’s not much in between. With a blind, you can let a little light in, an average amount, or a lot. You can save energy bills by switching off all your electric lamps and switches. Let nature light your home for you! A room with a view? Make it so! Perhaps you live in a particularly picturesque area, in the countryside. Don’t let that view go to waste! Plan your windows to allow you to soak up that view. These sights can double as ‘artwork,’ without you having to shell out for a painting. If you want a view of the beautiful night sky, consider adding a skylight to your loft or attic. Skylights also offer a lot of privacy, as it’s unlikely someone will be on your roof peeking in! Your windows face outwards, too. While the glass will look the same on both sides, the framing and colours can be altered as you wish. To create a unified exterior look, you need to pick colours that match the exterior of your property. So if your property is brick, sandstone or pebble-dashed, opt for a window frame that matches. Window frames come in a wide variety of grains and colours, so you aren’t without choice. Perhaps a tan exterior tone would go well with a darker external property. Or maybe you want sandstone coloured frames to match your pebble-dashed walls. Whatever the case, make it stand out!